Many of us can no longer imagine life without our smartphones. We use them for all sorts of things, like getting reminders of important calendar appointments (say, a first date), and driving directions to the Italian restaurant where your table for two awaits. 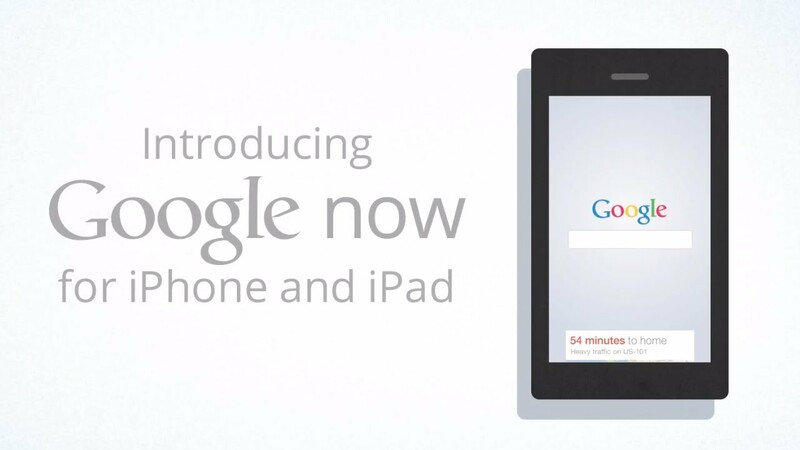 Today, with the launch of Google Now on iPhone and iPad, your smartphone will become even smarter. Google Now is about giving you just the right information at just the right time. It can show you the day’s weather as you get dressed in the morning, or alert you that there’s heavy traffic between you and your butterfly-inducing date—so you’d better leave now! It can also share news updates on a story you’ve been following, remind you to leave for the airport so you can make your flight and much more. There’s no digging required: cards appear at the moment you need them most—and the more you use Google Now, the more you get out of it. 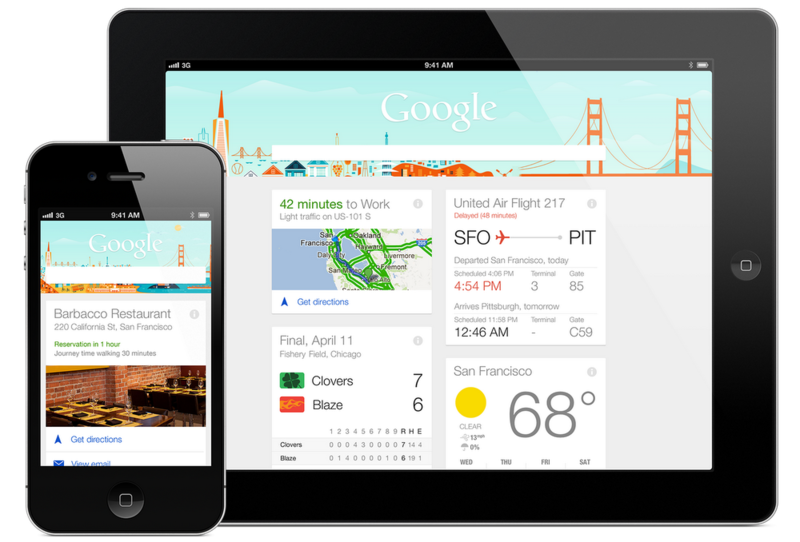 Google Now for iPhone and iPad is available as part of the updated Google Search app. Together, Google Now and voice search will make your day run a little smoother. In addition to the handy cards in Google Now, the Google Search app still gives you instant answers to all your questions. Try tapping the microphone and speak to your phone—you’ll get quick answers spoken back to you. For example, ask Google, “Do I need an umbrella this weekend?” and you’ll get the forecast. Or ask “Who’s in the cast of ‘Oblivion’?” to decide if you want to see it. Voice Search is particularly handy on the go—try "Show me nearby pizza places" and you'll see a map of restaurants around you with directions, phone numbers, ratings and hours. Get the Google Search app with Google Now from the App Store. Drag it to the tray, open it, sign in and you’re ready to go.